Romantic ambient lighting below the platform bed, the Crisp White finish, and silver tone bar handles come together to create a sophisticated style. 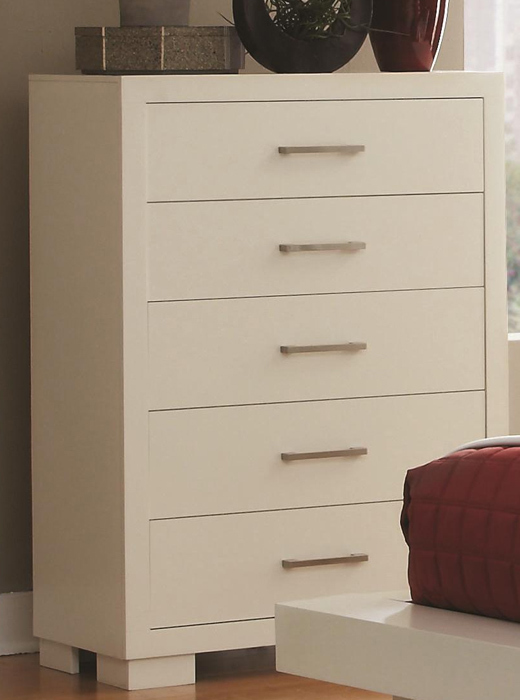 Enjoy the modern style of this Chest with clean lines, and a crisp white finish. to the top of the dresser, and add the mirror to bring extra depth and brightness into your room. 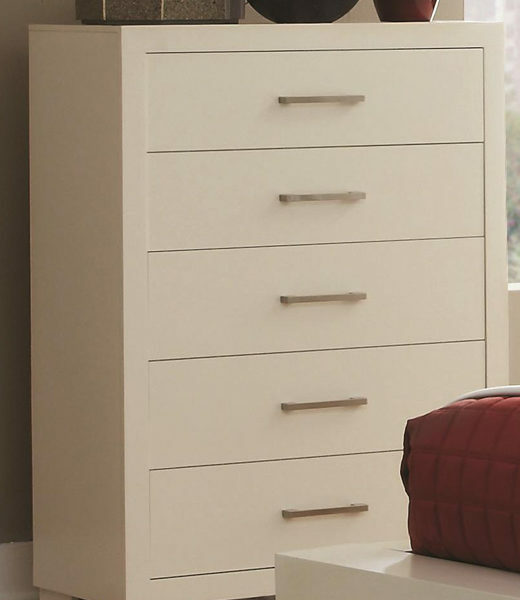 Block feet complete the bold look of this dresser, perfect for your calming master bedroom.